A new report by the National Nuclear Security Administration illuminates U.S. plans to spend more on nuclear weapons maintenance and modernization. The U.S. government in recent months has released new long-term cost data that shine further light on its plans to ramp up spending to maintain and modernize U.S. nuclear weapons, especially during the 10-year period between 2025 and 2035. 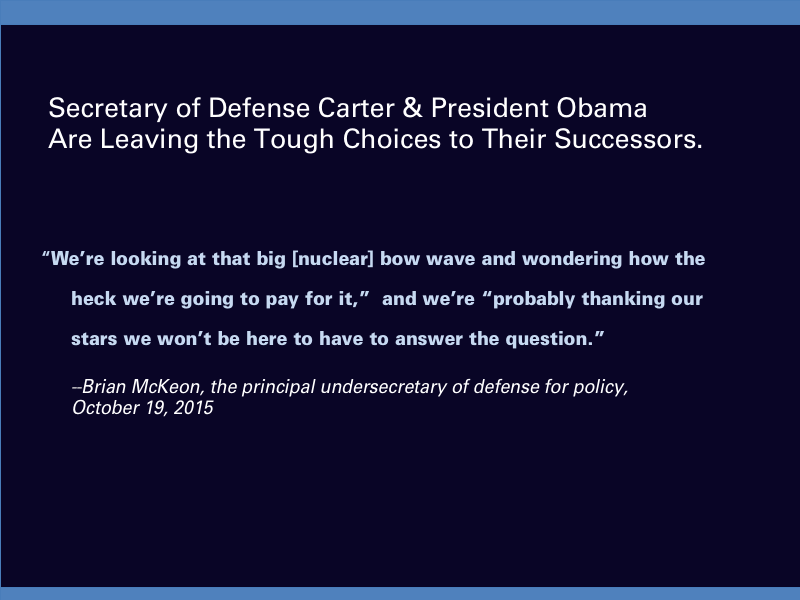 Senior officials from the Defense and Energy departments have warned for years about the affordability challenges posed by their nuclear spending plans, but they argue that the expenditures are needed to sustain a credible nuclear deterrent and can be successfully carried out if appropriately prioritized. 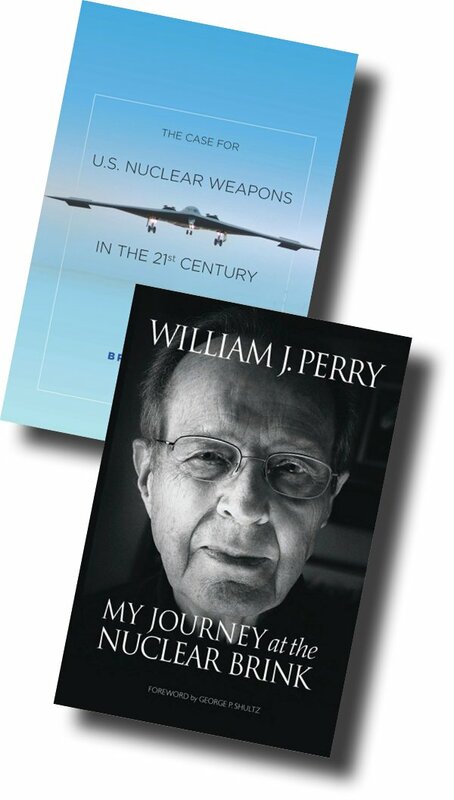 On April 1, the Energy Department’s semiautonomous National Nuclear Security Administration (NNSA) publicly released the fourth version of its annual report on the Stockpile Stewardship and Management Plan. The fiscal year 2017 iteration projects more than $300 billion in spending on agency efforts related to modernizing the nuclear weapons stockpile over the next 25 years. 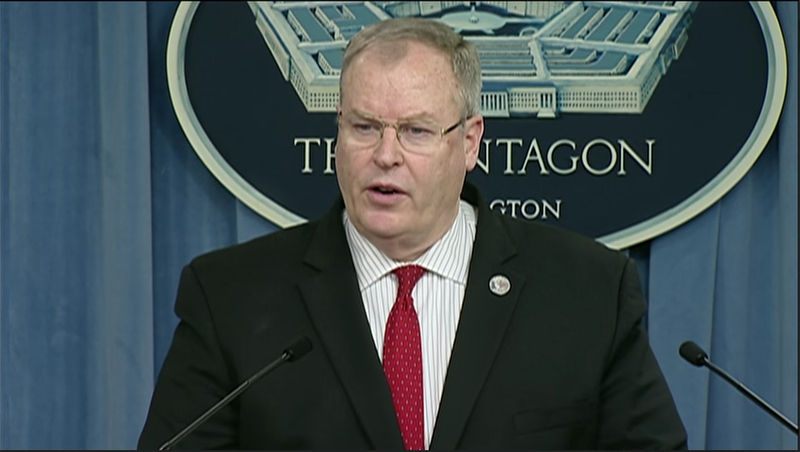 Notably, the new report says that the NNSA may need $2.9 billion more in funding between 2022 and 2026 to implement its weapons activities than the agency is projecting to request. During this period, the NNSA is planning to be in the midst of simultaneously executing four to five major warhead life extension programs and several major construction projects. 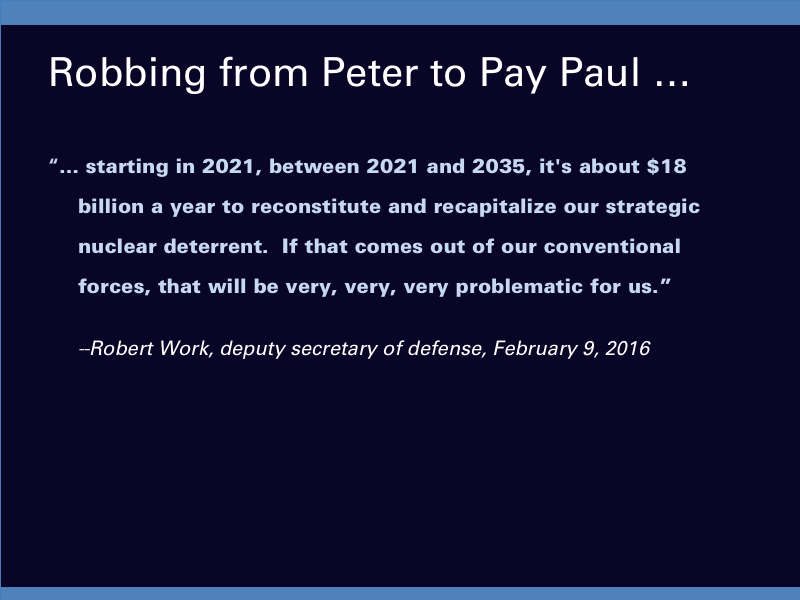 The mismatch between NNSA budget projections and program plans is driven in part by the agency’s costly and controversial proposal to eventually consolidate the U.S. stockpile of nuclear warheads. The April report does not alter the schedule for that effort. First announced in June 2013, the so-called 3+2 strategy has a sticker price of roughly $60 billion and calls for shrinking the current stockpile of nine different warhead types down to five types. Three of these warhead types would be “interoperable” on land- and sea-based ballistic missiles, an approach that has not been tried. Two other warhead types would be used on bombers, and two of the seven current warhead types would be retired. Nonetheless, the NNSA maintains that the 2017 version of its stockpile plan is “generally more affordable and executable” than last year’s version because the projected budget requests between 2026 and 2041 more closely align with the actual predicted costs of the plan. 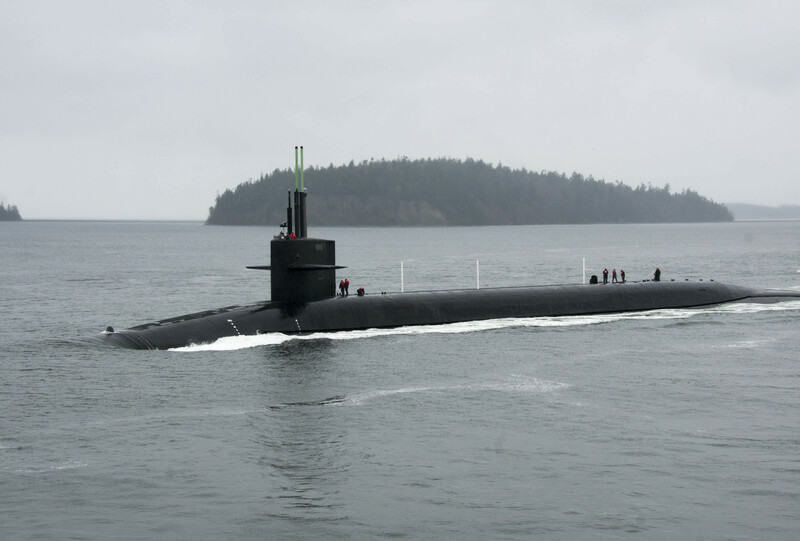 Meanwhile, the Pentagon in recent months has begun to reveal more information about the planned costs of its plans to build new fleets of intercontinental ballistic missiles (ICBMs), ballistic missile submarines, long-range bombers, and short-range tactical aircraft. 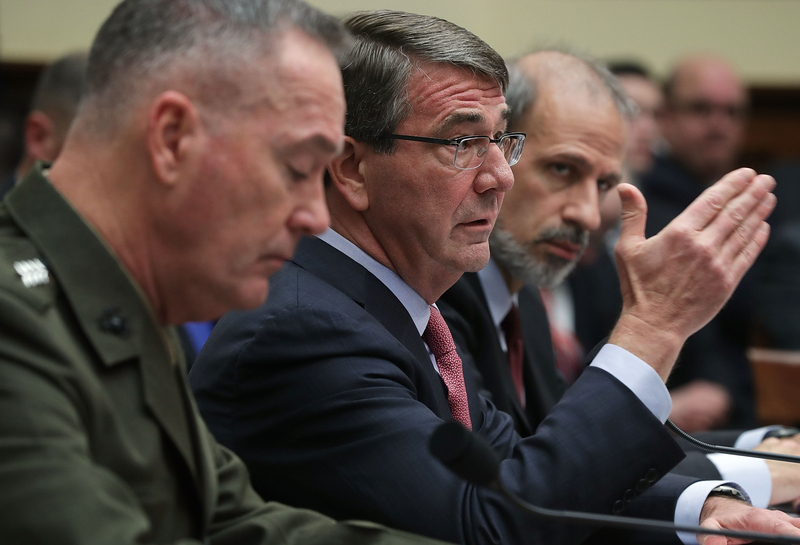 Defense Secretary Ash Carter told the Senate and House armed services committees in March that he “expects the total cost of nuclear modernization to be in the range of $350-$450 billion.” He did not provide further details on what accounts for the large range in the estimate, whether any projected NNSA costs are included, or what timeline the figure covers. 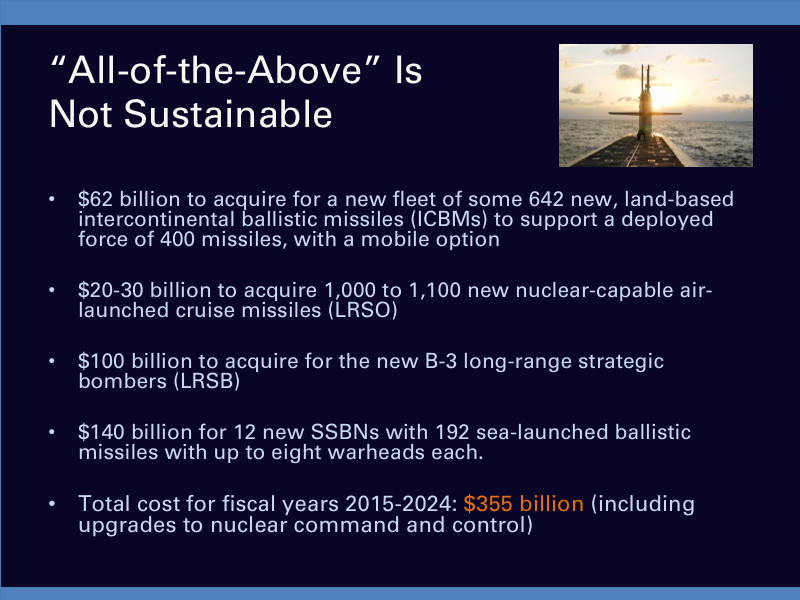 In addition, a Defense Department chart obtained by Arms Control Today shows that the department’s planned nuclear spending is slated to average more than $40 billion in constant fiscal year 2016 dollars between 2025 and 2035. The chart was prepared in January by the Pentagon’s Office of Cost Assessment and Program Evaluation, which provides the Defense Department with detailed analysis of the costs of major acquisition programs. A knowledgeable source said last month that the chart does not include the NNSA’s projected weapons-related spending during this period. Including these costs would push average spending during this period to well more than $50 billion per year. Deploying intercontinental ballistic missiles on mobile launchers would represent an unprecedented development in U.S. nuclear strategy. The U.S. Air Force is planning to design a next generation of intercontinental ballistic missiles (ICBM) that will have the capability to be deployed on mobile launchers, a knowledgeable source told Arms Control Today last month. Initial Air Force estimates suggest that it would cost roughly $400 million in development funding to provide the “modularity” that would allow this option, the source said. A decision by the United States to deploy ICBMs on a mobile platform would represent an unprecedented development in U.S. nuclear strategy. The United States explored two mobile ICBM options during the Cold War—the Peacekeeper, which would have been carried by railcars, and the small ICBM, or Midgetman, which would have been carried by trucks—but both programs were canceled before they became operational. 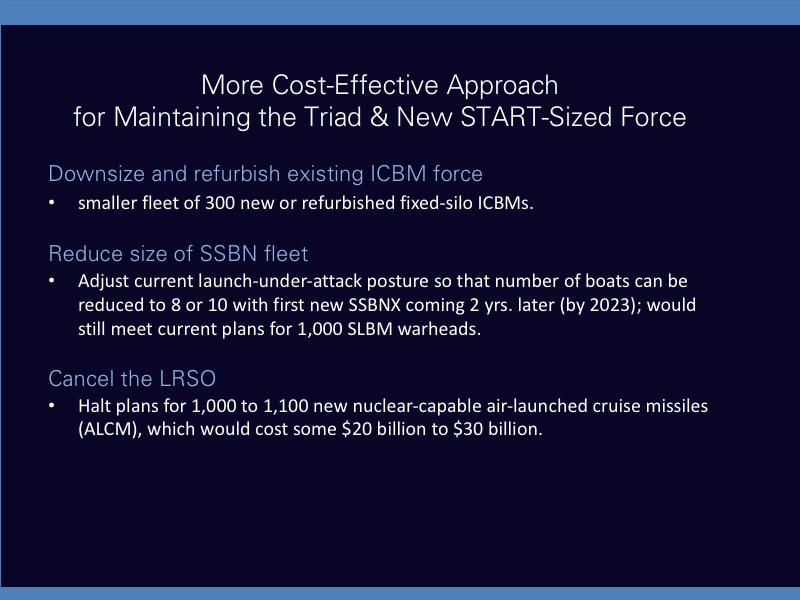 Developing transportable ICBM forces would cost at least $80 billion more over the next 50 years than retaining only silo-based missiles, according to Air Force estimates. In an email exchange last month, Maj. Robert Leese, an Air Force spokesman, confirmed that the service is pursuing a replacement for the silo-based Minuteman III system “that will provide the option for alternative modes of operation in the future.” The replacement is known as the Ground-Based Strategic Deterrent (GBSD). Leese declined to provide additional details, saying that “[t]he design features and the total cost required to support this option will be evaluated” later in the acquisition process. A 2014 report by the RAND Corp. on the future of the ICBM force said a “mobile missile must be designed and built to more-demanding specifications then a silo-based ICBM,” such as remaining “reliable under the rigors of periodic movement.” The Minuteman III currently is not capable of being put on a mobile platform. The requirement to examine future ICBM mobility appears to have originated with the 2010 “Nuclear Posture Review Report.” The document stated that the Defense Department would study “new modes of ICBM basing that enhance survivability and further reduce any incentives for prompt launch.” Under this argument, a mobile ICBM would enhance the overall survivability of the ICBM force by making the missile more difficult to target and destroy, thereby reducing the pressure the president might feel in the event of a nuclear attack to use ICBMs quickly lest they be destroyed. 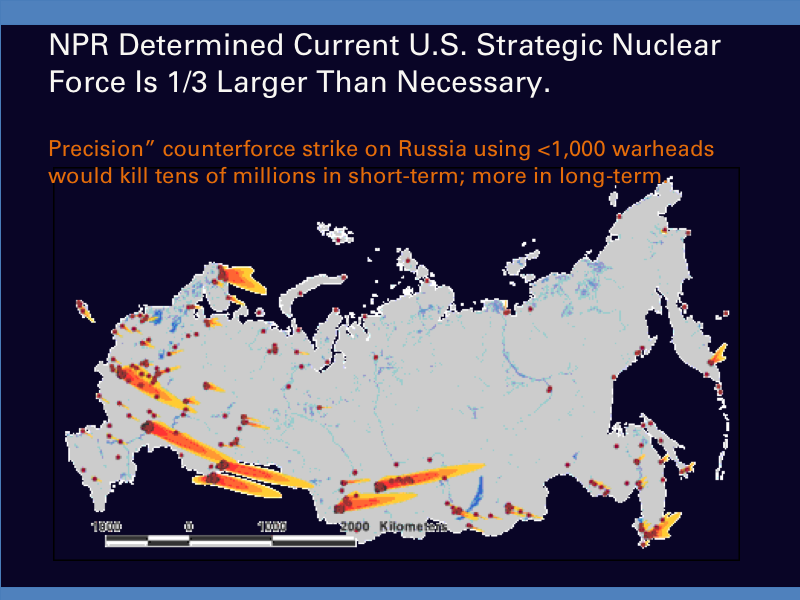 That number of missiles would allow the United States to have a capability extending into the 2070s to deploy 400 ICBMs, the number that the United States will have in 2018 under the terms of the New Strategic Arms Reduction Treaty (New START). To meet the treaty limits, the Defense Department has said it will reduce the U.S. arsenal from its current level—441 deployed missiles as of September 2015—while retaining 50 nondeployed missile launchers. 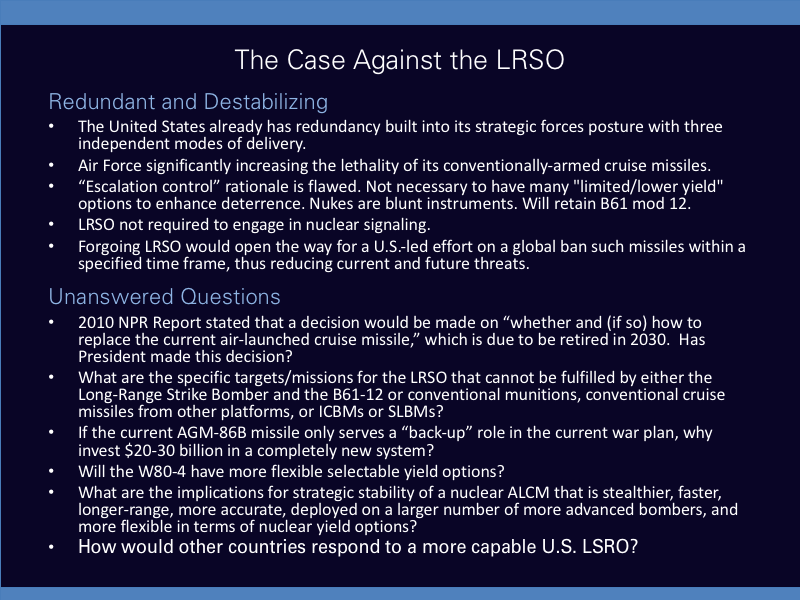 Leese said that, under the GBSD program, the Air Force is proposing to build “an improved system” that replaces the entire Minuteman III flight system, including the re-entry vehicles, guidance system, and propulsion system. The program also would renovate the associated missile-launch facilities, launch control centers, and command-and-control system, he said. The Nuclear Security and Deterrence Monitor reported last August that the plan is to replace the missiles first, followed by the support systems. 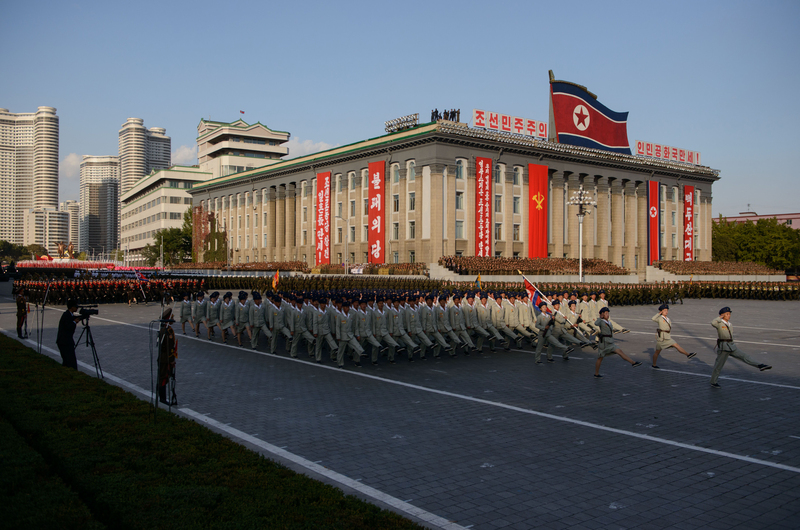 The program is scheduled to achieve an initial operating capability of nine missiles by fiscal year 2029, the report said. The knowledgeable source said that, under the Air Force plan, the replacement missiles that will be fielded between 2028 and 2036 will not include mobile missiles. ICBMs make up the land-based leg of the U.S. nuclear triad of delivery systems, which also consists of submarine-launched missiles and long-range bombers. 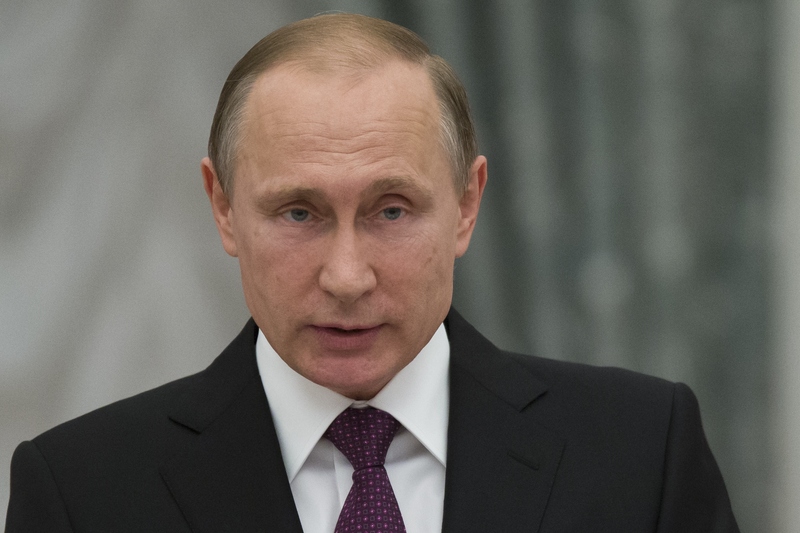 The bombers can carry air-launched cruise missiles and gravity bombs. The Minuteman III, which has a range of more than 8,000 miles, was first fielded in 1970 with a planned service life of 10 years. Several multibillion-dollar life extension programs have kept the missile in service for more than 40 years. In 2014 the Air Force completed an analysis of alternatives to sustain the ICBM force beyond the anticipated end of the Minuteman III’s service life in 2030. The analysis focused on three alternatives: a “baseline” option that would extend the life of the Minuteman III through 2075, a “replacement system” that would “capitaliz[e]” on the existing Minuteman III silo infrastructure, and a “hybrid” option that would mix the existing Minuteman III silo infrastructure with new road-mobile ICBMs. The analysis ultimately recommended that the Air Force proceed with the replacement option. The total life-cycle cost of this approach was estimated at $159 billion (in fiscal year 2014 constant dollars) between fiscal years 2016 and 2075, according to Leese. The baseline option was estimated to cost $160 billion and the hybrid option $242 billion. Leese said that mobile forces would not have been deployed until around 2050 under the hybrid option. In the March email exchange, Leese said the analysis of alternatives “looked at a ‘phased’ implementation of” system “improvements” but did not recommend this option. 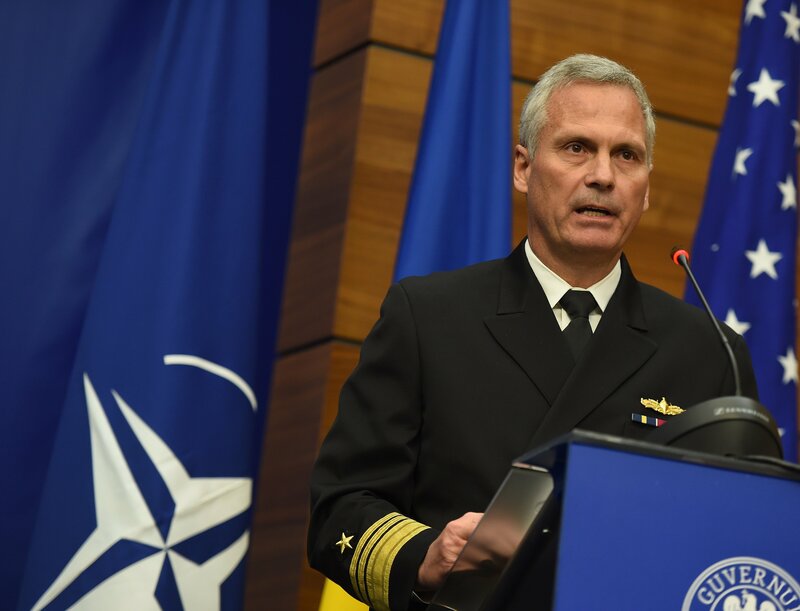 “Incremental modernization is hindered by” the near-term need to upgrade key parts of the missile “and the remaining elements of the weapon system,” such as ground security and communications, he said. 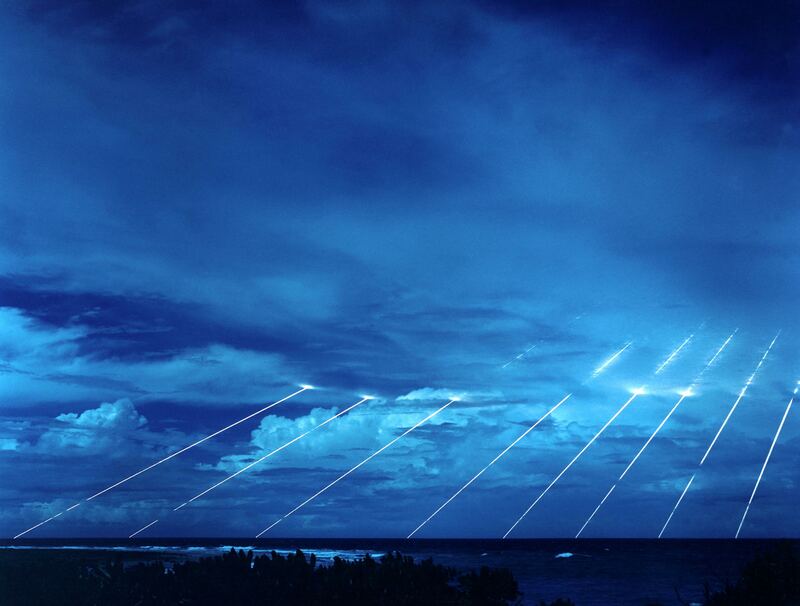 This approach would also increase the near-term cost of sustaining the Minuteman III, Leese added. Meanwhile, an Air Force official told Politico last October that “as enemy capabilities continue to progress...more advanced technologies are required to meet” the ICBM mission. The official did not specify what new technologies would be required or if a future mobile option is desired to enhance the U.S. capability. A Feb. 17 story in The Daily Beast cited concerns among some military officials that the Minuteman III lacks the required accuracy to destroy key hardened targets. A second knowledgeable source who has been briefed on the GBSD program questioned the Air Force’s approach to replacing the Minuteman III. 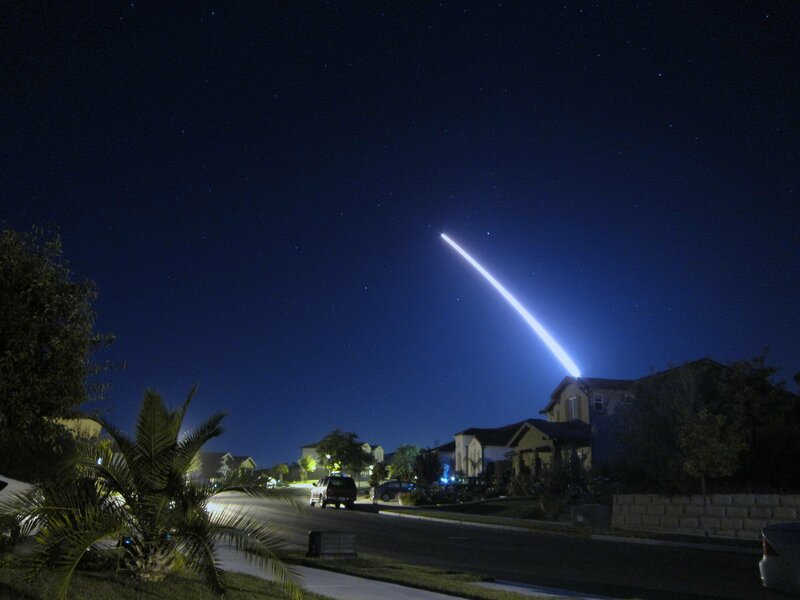 The source said in an interview that the Air Force had yet to adequately explain why the Minuteman III could not be sustained until the 2040s, thereby allowing the Air Force to defer until then its decision on whether to build a replacement system. 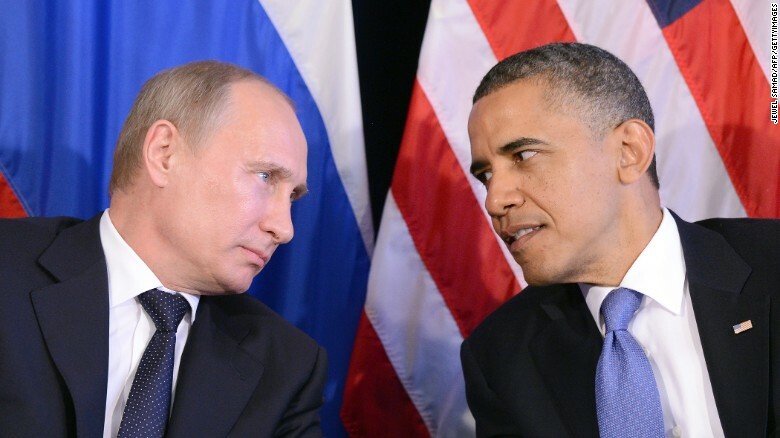 The Obama administration’s fiscal year 2017 budget request would increase funding to improve the capability of the U.S. homeland missile defense system. The budget calls for increases even as officials warn the plan may be unsustainable. The United States will not participate in a working group on disarmament taking place in Geneva this year, according to the State Department. During last year’s meeting of the UN General Assembly First Committee, UN member states voted to approve a resolution sponsored by Mexico creating the working group. (See ACT, December 2015.) It is open ended, which means that all UN members can participate. The working group also will “substantively address recommendations on other measures that could contribute to taking forward multilateral nuclear disarmament negotiations.” The resolution said the group should convene in Geneva in 2016 for up to 15 days and present a report on its work to the General Assembly at its session later this year. Like the United States, the four other countries recognized as nuclear-weapon states by the nuclear Nonproliferation Treaty—China, France, Russia, and the United Kingdom—did not attend the February meeting. The working group is scheduled to reconvene during the first two weeks of May and once more during the week of Aug. 22.